RBMA pay homage to the New York and the drum machines involved in crafting its soundscapes with an eight-part series called “beat:repeat NYC”. Being the home of two major black cultural movements (the Harlem Renaissance and the birthplace of hip hop), New York is an important pin on the musical map. The Red Bull Music Academy held their annual workshop/lecture event in the Big Apple last year and continuing on from this, they are hosting a festival in the city. 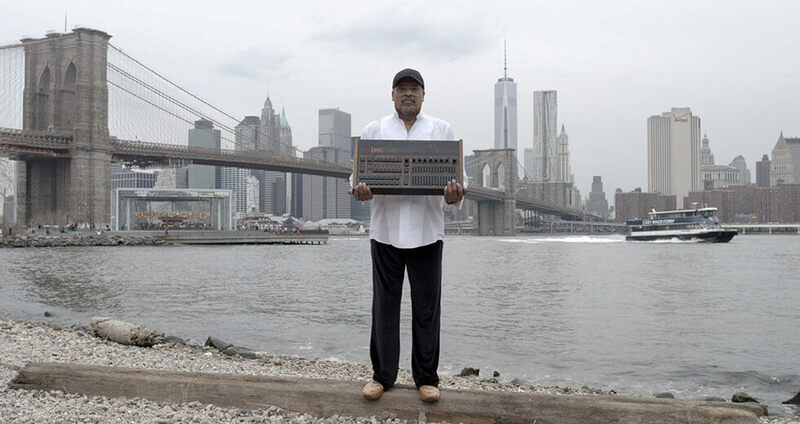 To coincide with the event, RBMA have put together beat:repeat NYC, an eight-part series all about drum machines and the anthems they’ve created in the city. The first episode of beat:repeat NYC discussed Peech Boys’ “Don’t Make Me Wait”. The track was popularised by its frequent play at New York’s fame Paradise Garage venue thanks to resident DJ and co-producer Larry Levan. In the video, Michael de Benedictus (the second producer) discusses how the track came about and his relationship with Levan and shows the foundations of the track on his LinnDrum. The second edition sees Suicide members Alan Vega and Martin Rev describe how they used a cheap drum machine, to create the classic that is Frankie Teardrop. Martin also meets Xeno and Oaklander and watches as the pair reinterpret the song in their own way. Episode three is all about Mtume’s classic Juicy Fruit and he talked about not only the song itself but its relationship to boxing and its complementary rhythm. Later on, Evil Dee gives it the sample treatment joining the ranks of Notorious BIG, Warren G and R Kelly to flip it. The fourth sees a collaboration between Anthrax drummer Charlie Benante and Ninja Tune’s Lee Bannon centred around Anthrax’s 1986 hit “I Am The Law”. While Charlie thrashes on the drums, Lee records his performance and flips it into something new with his MPC Renaissance. One of the most interesting aspects of this episode is Charlie’s interest in crate digging and wanting a MPC to make a beat himself. That would be awesome. Can someone make this happen as well as the final beat they made together? Stream the first four episode below.